What goes up, must come down. Glossy eyes, dewy skin and bases layered with strobe creams have been dominating the beauty scene for what feels like centuries... so is it all about to come to an end? Matte skin has been taking a severe back seat, as dewy drives on, with satin finishes and shine-control powders reserved only for the 'oily' and 'blemish-prone' among us. 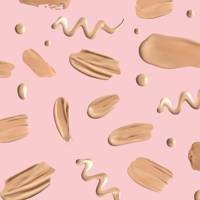 Glossy skin was originally born on the runway, back when almost every fashion show circa 2016 was awash with wet-look, super-hydrated to the point of a noticeable sheen, skin. But this year we've finally seen a slight revert back to satin coverage, at shows like Tom Ford and Fendi. "I wouldn't say people are favouring the matte finish just yet, but you can see matte faces all over the catwalks at the moment and to be honest, I’m really excited to have a bit of a change-up with the finish on skin," says celebrity makeup artist, Elizabeth Rita. "Although I love gloss and glow it's just nice to have a choice again." How matte are we talking here? When people think about matte skin, they tend to assume the extreme: Full coverage and sucked dry to the point of chalkiness. But on the runway, Elizabeth says it's more of a 'barely-there matte finish'. Think of it more like a neutral skin finish. No gloss and sheen, but not matte to the point of flatness. What can I do if I have dry skin? We totally get it. If you have dry skin, you probably lean towards those super dewy products and think matte will only accentuate your dryness. BUT there are products that are super hydrating on the skin, yet provide a satin and shine-free finish. (£14.99) is one of our favourites OR you can simply keep your dewy formula, but set with a mattifying powder like (£29). Elizabeth also recommends (£31). "Technically not a matte foundation, but with a touch of powder on the t-zone afterwards it fits the job perfectly and gives you a flawless, buildable foundation, with great end results for people with dry skin." And of course, if you suffer from dry skin, a good dose of moisturiser before you apply your foundation will work wonders. What can I do if I have oily or combination skin? If you have oily or combination skin, you'll know that just applying a matte foundation won't cut it for all-day shine-free skin. For you, prep is extremely important. Elizabeth says she'll always start by cleansing the skin, using something like (£5.99). "It deeply cleanses without irritation or leaving any product residue, this in itself gives you the perfect start for your matte makeup." She'll then follow with a mattifying moisturiser (because oily skin needs hydration too) and then a shine-control primer like (£27) or if you're after a more budget option, Simple's SOS clearing booster works wonders when applied to the T-zone. Do I have to give up highlighter? Hell no. 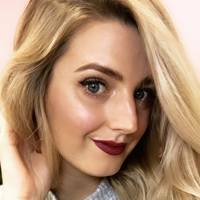 You don't have to give away the glow all together, although Elizabeth recommend sticking to powder highlighters to keep the matte vibes going. "If you like a bargain I can recommend for just £3, but if you want to splash out and treat yourself I love (£49)." With party season upon us, Elizabeth says to go bold or go home. "Trade in your nudes for some bright festive lips, and I don't just mean a red. Try a dark pink or a velvet maroon shade." "Or if you're not brave enough for a strong lip go for a heavier eye and add some sparkle on the lids." Fenty's Global Makeup Artist Hector Espinal said it best: "Pro Filt'r is the sh*t for oily skin." 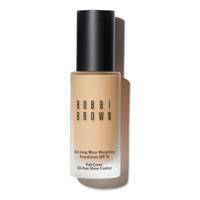 The medium to full coverage foundation will keep it's satin-matte finish no matter what your day throws at it. 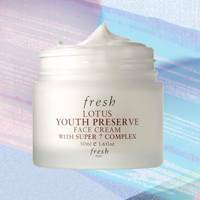 Oil-free, but won't clog your pores and best of all – it's comfortable. 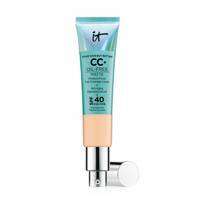 Yes, technically this is a CC cream, but the amount of coverage means it works more as a medium coverage foundation. This glow-giving, blemish-covering formula is our favourite product from the range - and it's perfect for skin on the oiler side. 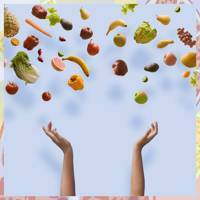 Just because you have oily skin, doesn't mean it should be starved of hydration. 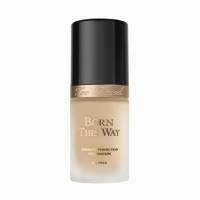 This foundation gives you the best of both worlds, keeping the skin comfortable in winter without wearing off. Shine stays under control with the satin-matte finish and the long-wear will save you from touching up all day long. 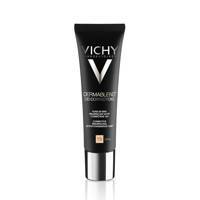 This 16-hour formula not only keeps oil at bay all day but it also has a multidimensional matte finish, meaning that even though it keeps things covered, it never looks flat or dull, but rather creates a natural-looking second skin. UK newcomer CYO has completely swept us off our feet with its high-performance but not high price products. This foundation is a favourite amongst the GLAMOUR team's oily-skin gals, who give it the big thumbs up for shine control and long-lasting wear. 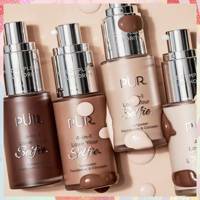 There are few purse-friendly foundations that really do the job well, but this one is a bit of a wonder-product. 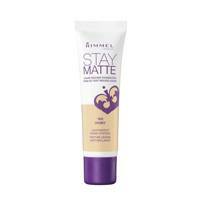 Matte but not drying with medium-high coverage, this formula is best suited to skin slightly on the oiler side. Due to its 24-hour wear, it's ideal for warmer weather. If you're concerned about your purse strings, this base is a great affordable option. 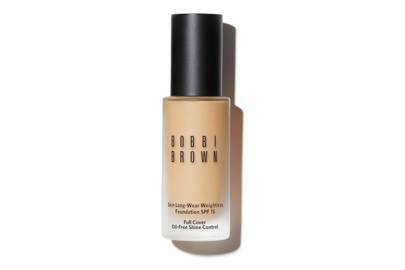 This high-coverage, long-wearing foundation will see you through even the hottest summer days. 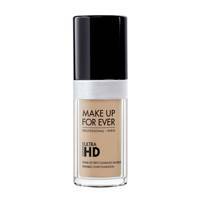 An updated formula from the original HD Foundation, Makeup Forever's bestselling base offers the best in high coverage. Perfect for oily skins, the foundation has a semi-matte finish, with a slight glow. This is one of our all-time favourites which is perfect for hot days. Budge proof beauty? You've got it. 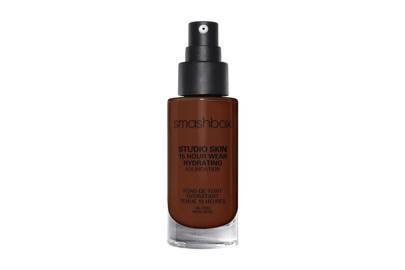 This oil-free foundation is budge-proof without feeling heavy or cakey. The finish is matte with a slight glow, making it the perfect all-rounder. Want a purse-friendly way to stay non-shiny? 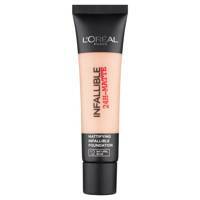 This affordable formula ensures a matte, lightweight finish. 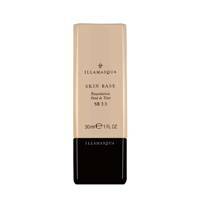 A foundation stick is great for building coverage and touching up during the day. 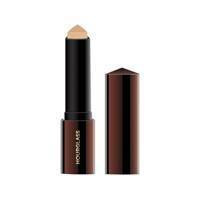 Unlike many sticks, Hourglass' adds a nice glow but stays on all day without sliding down the face. We love this new addition to the line. 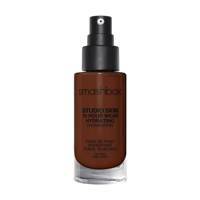 This base comes in a great shade range and dries onto the skin matte. It's a high coverage formula which blends well and will last you all day (and night, if necessary).